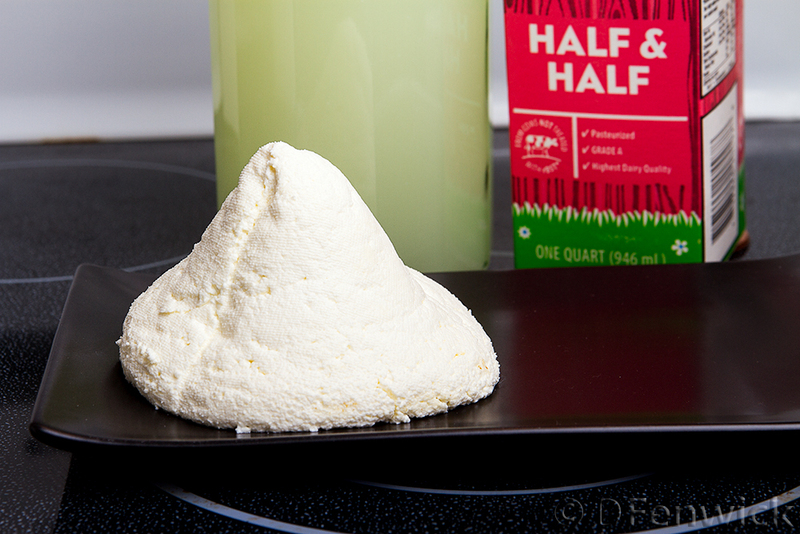 This recipe is marvelously easy, all it takes is 1 quart of half n’half (do not get ultra-pasteurized), tartaric acid and a fine strainer or cheesecloth. You can substitute this acid with lemon juice, but if you have a brewing store in town, definitely make the journey to your local purveyor of booze-making equipment and support your neighborhood retailer. You might find your first new hobby of 2014. 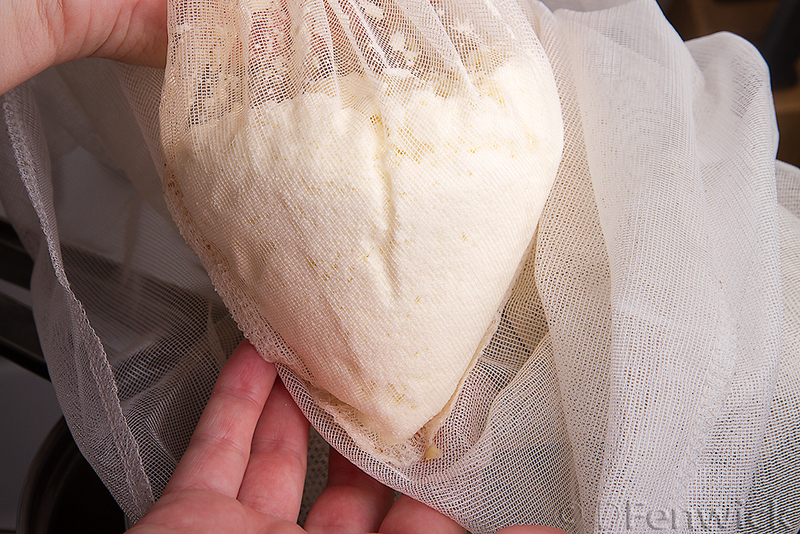 If you do go to a brewing store, check out the supplies of netted bags used in brew making, these also work wonderfully to strain curds and they are relatively inexpensive. 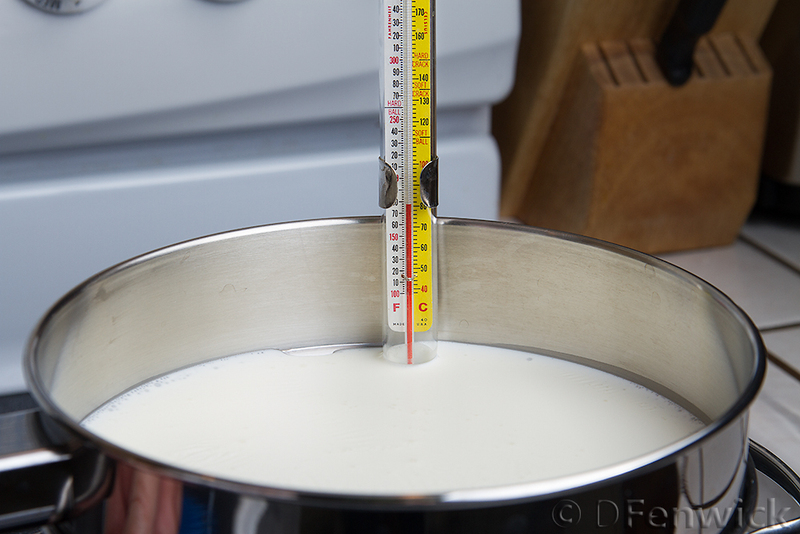 To the recipe: In a double boiler, bring the milk slowly to temperature, about 173 degrees F, then turn down the temperature to low. 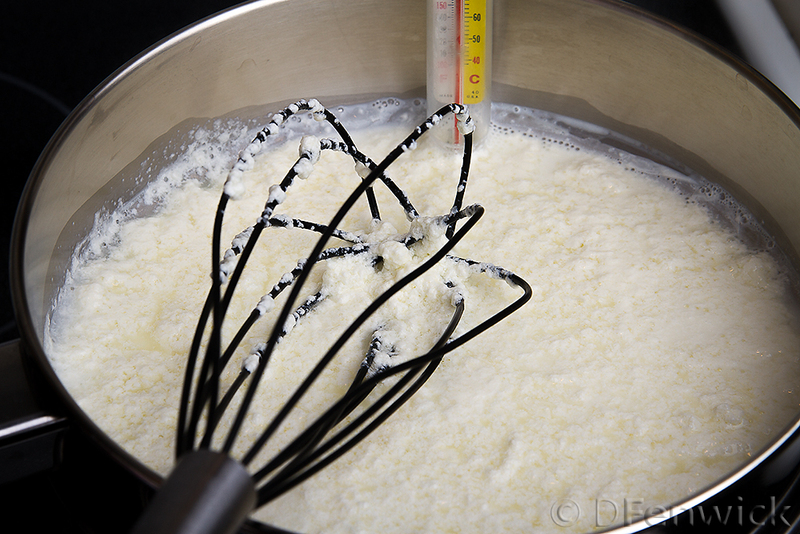 Gently sprinkle a generous 1/4 tsp of the tartaric acid over the milk and stir gently with a whisk – these curds need TLC! 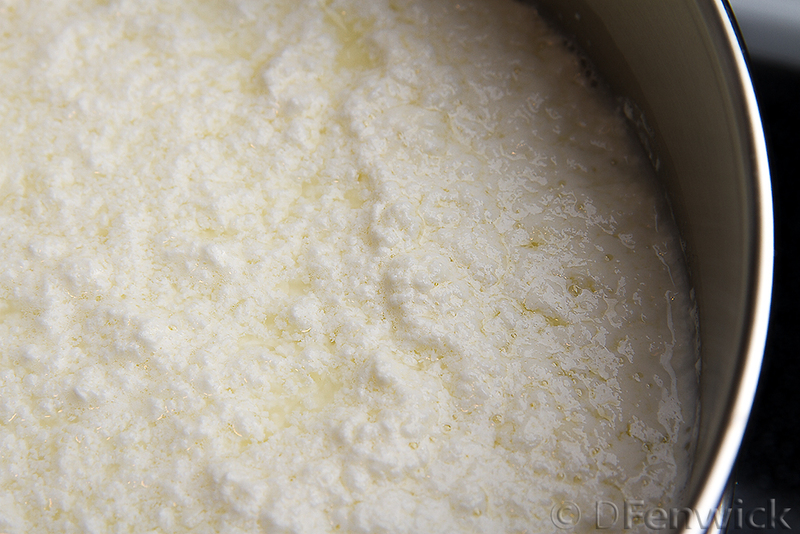 You should begin to see the whey (greenish liquid) and the curds separating. 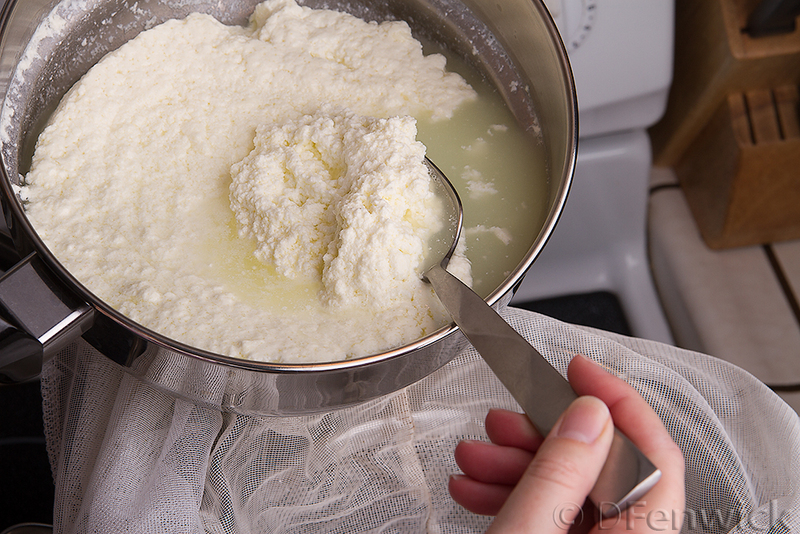 As the pot begins to thicken with curds, I remove from the heat and let it sit about 8-10 minutes, then carefully spoon into a prepared strainer and cheesecloth. Once you see that the whey is no longer dripping from the strainer (maybe 15 mins), you can add your salt. 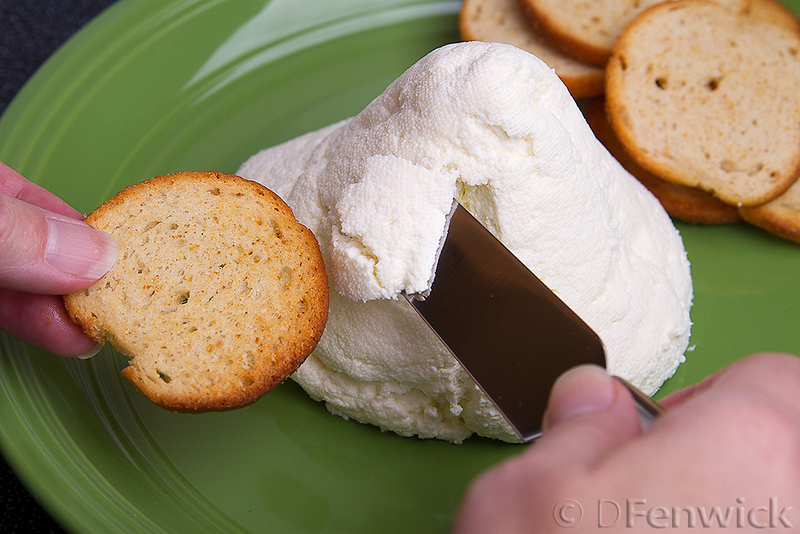 Then it’s up to you whether this mascarpone needs herbs and garlic, OR cinnamon and sugar, that my friends, is up to your tastebuds.